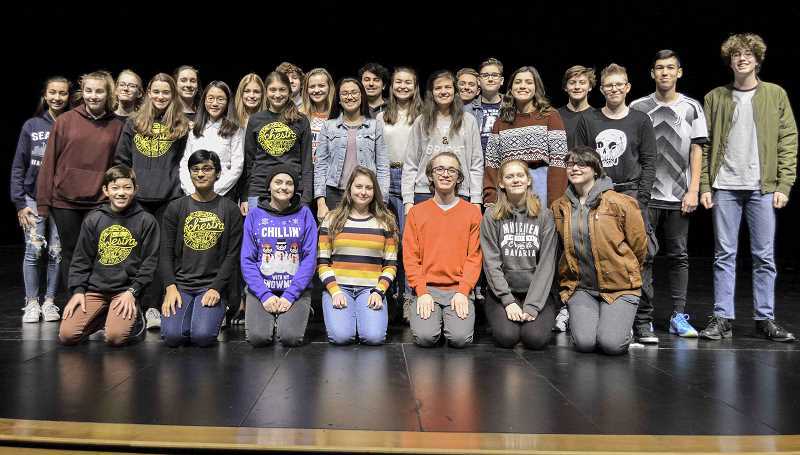 Forty-three West Linn High School music department students will perform in the National Association for Music Education (NAfME) All-Northwest, a biennial event, and Oregon Music Education Association (OMEA) All-state Band, Choir and Orchestra honor groups in February. 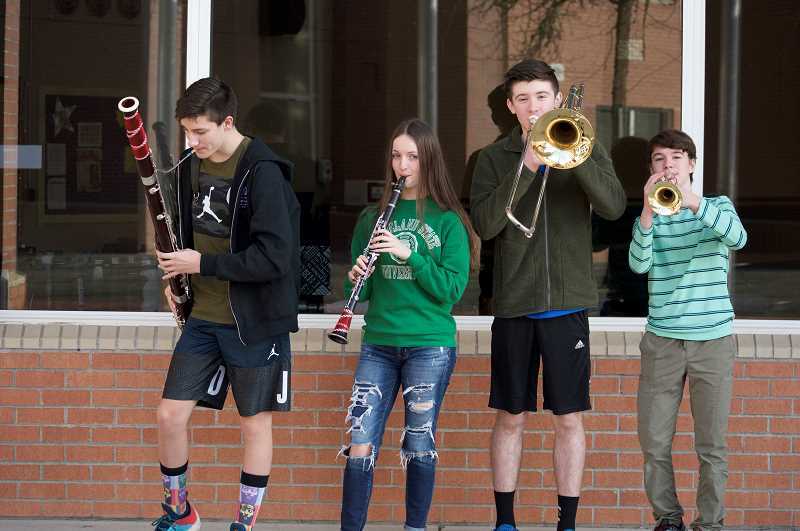 "I think this is the highest number that I remember for sure," said Georgia Muggli, director of orchestras at WLHS and Athey Creek Middle School. "It's reflective of a huge amount of effort that goes into not only the audition, but the years of effort that get them to the point to be able to do that audition successfully." Students across the Northwest who were selected for the NAfME All-Northwest High School Band, Choir and Orchestra groups will rehearse and perform in Portland Feb. 14-17 under the direction of world-renowned conductors. The OMEA All-State Band, Choir and Orchestra will rehearse and perform in Portland as well, from Feb. 15-17. The all-state honor groups also have a middle school level, and a total of 14 students from Athey Creek and Rosemont Ridge middle schools were selected to perform in the honor groups. "I practiced a lot to try to get in," said Athey Creek eighth-grader Thomas Uelmen, who made all-state as a trumpeter. "It's nice knowing that practice pays off. I hope I'll be able to make all-state again next year." Athey Creek eighth-grader Reese Hunsaker, who made all-state with his bassoon, said this experience will open doors. "It's humbling but also it gives me opportunities to make higher bands because I can say 'Well, I made all-state in eighth-grade' so I can use that to get more opportunities," Hunsaker said. Students submitted audition recordings in September to try out for the honor groups. Recordings varied depending on the instrument and the audition group. Students were required to record a track or excerpt of music written to technically challenge themselves. Auditions for the all-Northwest honor groups were more challenging than state. "I think the most challenging thing was just kind of getting the excerpts to the point I wanted them to be because when you listen to them, you can hear all the tiny mistakes," said sophomore Rhea Grover, who made the All-Northwest Orchestra with her viola. "It was such an honor to find out I got in. I really didn't expect it and it's really cool that I was able to get into all-Northwest after putting in all the hard work and it shows that it has really paid off." Students competed against thousands of musicians across the Northwest region, including Montana, Alaska, Idaho, Washington, Oregon and Wyoming. "When I went to my first honor band in high school that's when I decided I wanted to be a band director because you're playing with the best of the best from around the area," said Laura Arthur, band director at Athey Creek. "You get a great conductor and it's an incredible experience, so I'm jealous they get to do this because it's awesome." During the conference, the school music directors will watch rehearsals and attend conference sessions. "It's a great chance for music teachers to connect, learn, get better and hear about new technology and new pieces and (it's) just a chance to connect with their colleagues," Arthur said. "In the past I've only had one or two kids (go) so to have four kids is such a huge honor and it's a testament to their hard work." Another musical honor students were selected for is the American Choral Directors Association (ACDA) National Conference. Students will attend rehearsals and perform in the national honor choir from Feb. 27 to March 2 in Kansas City, Missouri. Students across the United States auditioned, and sophomore singer Brigitte Chenevert was selected for ACDA and all-Northwest. "Our new choir teacher has been really helpful," Chenevert said. "She encouraged me to try out for nationals and it's one of those things that I wasn't going to do or just going to do for fun to see if I could get the experience of trying out and she's very encouraging." Both Arthur and Muggli said they are honored and proud of the students who were selected for the honor groups. "Regardless of what they do in their lives it's just such a meaningful musical experience to play this really fabulous music with other really fabulous musicians," Muggli said. "It's inspiring and they often come back energized and do even better in their school orchestra (or other musical group)."